Welcome to my website, showcasing our adult, childrens & family martial arts classes in Altrincham. Our classes provide a warm, friendly environment to train in. Whether you are looking to improve your fitness, increase confidence or just want to have fun as a family, come and meet Peter Watt and try your free class. 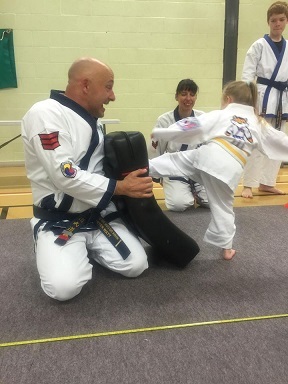 If you’re looking for a great experience, fun, safe and exciting martial arts classes that really get the results you want and always treat you with the highest levels of respect then you are our sort of person! We are so convinced that you will absolutely love our classes, you can try the first class for free! Our Family Classes offer unique opportunity for your entire family to join in together and strengthen family bonds through participation in a mutual interest. Your entire family can benefit from becoming fitter, healthier, happier and safer together. For further details please call 07702 976 820 or fill in the form opposite for a brochure, timetable, price list and details of our web special offer.